Recently we had the opportunity to speak with Zachary Smith CEO at Packet. Packet is a premium bare metal cloud provider that specializes in providing developer-friendly solutions. If you want bare metal hosting, give them a try. It just so happens that the Packet SJC1 data center is nearby the STH / DemoEval lab and it is great seeing the company grow so quickly. 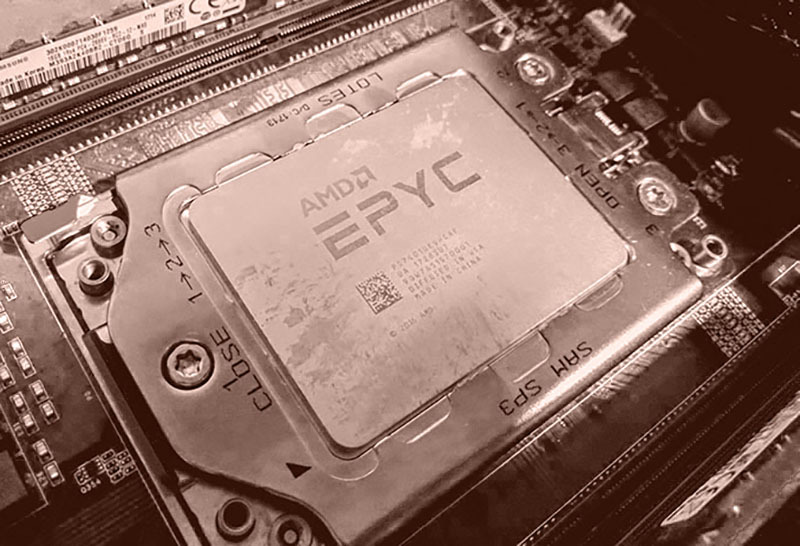 Packet has been rolling out a number of instances, and one has gotten quite a bit of attention is its latest introduction of AMD EPYC. Recently, Packet announced the public availability of a new AMD EPYC instance type, that is the direct result of a collaboration with Dell EMC and AMD that we highlighted in: AMD EPYC Powered Dell EMC PowerEdge Servers Are Here. For $1/ hour, you can now get a 24 core / 48 thread AMD EPYC 7401P powered Dell EMC R6415 server with 64GB DDR4 memory, a 120GB boot SSD and 2x 480GB SSDs for storage, and dual 10GbE Mellanox networking. Just to put that into perspective, AWS’s lowest-cost 20 core dedicated instance is $1.75 an hour, or 75% more with 4 fewer, and older generation cores (albeit with more memory.) If you simply need compute capacity, this is a massive saving over AWS and many other offerings. The Dell EMC PowerEdge R6415 was the first single socket system from a major OEM that allowed Packet to take advantage of the AMD EPYC single socket economics. Zac has been a longtime STH reader, so he agreed to take some time to chat on short notice about the AMD EPYC rollout using the Dell EMC PowerEdge R6415 servers. The conversation was extremely upbeat and he said the company already sold out of AMD EPYC server capacity once. When we asked why it has been successful, the reasoning was insightful. 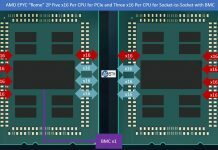 Zac mentioned that AMD EPYC single socket platforms fill a void in the market created by Intel’s product portfolio. 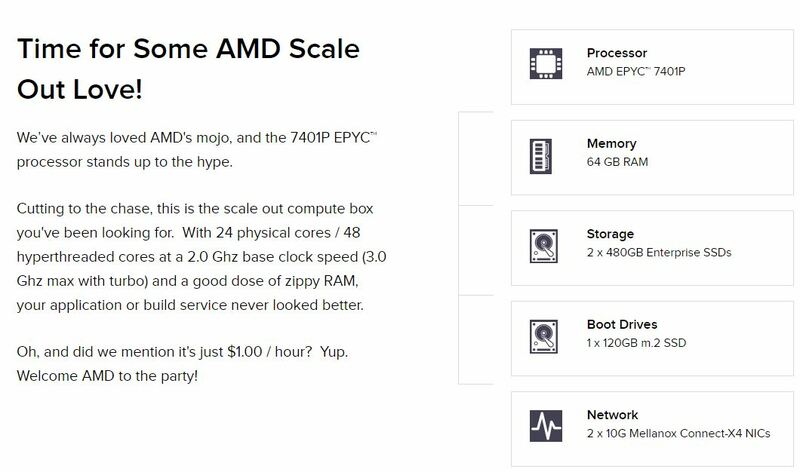 Essentially, the AMD EPYC 7401P gives its users an exceptional price/ performance platform. The thesis is that there was demand in the market not being served by some of the virtualized cloud offerings. 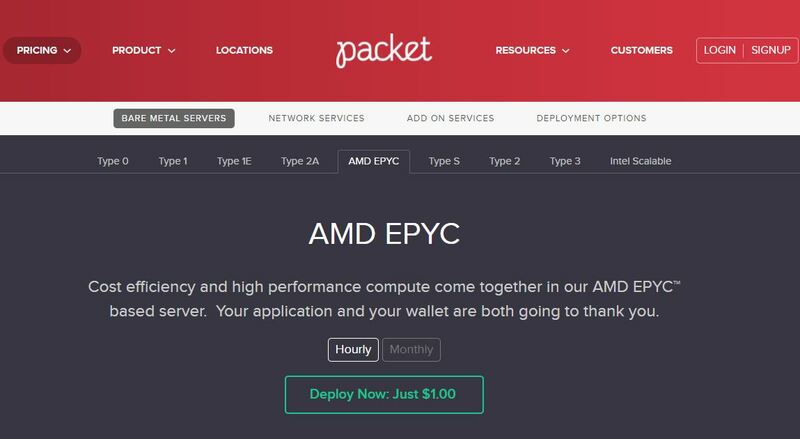 Developers want to take advantage of the excellent EPYC performance per dollar metrics, especially in single socket systems and the Packet offering is the first that brings bare metal to the public cloud. At STH we did a lot of this value analysis during the EPYC’s initial launch. Since then, we have seen several new processor generations so we wanted to illustrate why Intel has a single socket gap that companies like Packet are exploiting. In the single-socket server market, Intel’s offerings have been largely stagnating. The Intel Xeon E3 line has had six (or seven if you count the X3400 line) generations of offering low memory bandwidth and up to four cores. That is essentially 8-9 years of the entire line having no more than four cores and gaining IPC and clock speed improvements. In CPU design that is an eternity. An Intel Xeon E3-1280 V6 retails for around $400 for a 4 core part or around $100 per core. The Xeon X3470 launched in Q3 2009 sold for around $340 or $85 per core. The Xeon E5-1600 generations had more cores and more power consumption but were limited to fewer cores. Indeed, even the current generation Xeon W successor to the E5-1600 line scales up to a maximum of 18 cores. The sub $1100 options from Intel are the Xeon W-2145 ($1113 list) with 8 cores/ 16 threads at a price of around $140 per core. You can get de-featured Xeon Silver 4116‘s and use them in a single socket configuration and get 12 low speed, cores for $1000 or about $83 per core, but that is hardly a performance solution. 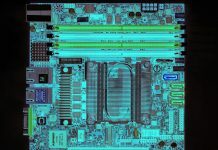 The Intel Xeon D-2163IT is the 12C offering below $1100 at around $78/ core from the embedded portfolio. You can learn more about the Xeon D-2100 at our launch coverage central. On the AMD EPYC 7401P side, the SKU Packet is using, sells for around $1100. With 24 cores or around $46 per core per-core costs are about half of what Intel charges. You can read more about the AMD cores in our EPYC 7401P review, but the value was evident. For a cloud hosting provider looking for low cost, high performance compute cores, this enters game-changing economics territory. What can one take away from this conversation? First, Packet deployed the Dell EMC PowerEdge R6415 servers and they have been performing well. Both from the perspective of the cloud hosting provider Packet, and their customers. The game-changing economics for providers and customers is translating into more EPYC servers being installed. If you just want a few hours on the AMD EPYC 7401P to test out the architecture, this is your best bet right now. 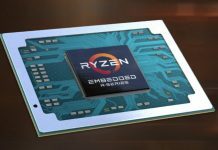 Taking a broader view of the market, there are other companies looking at the gap that Intel has left in its product portfolio. Packet runs Works on Arm which is the developer cloud solution for Cavium ThunderX1/ Thunder X2 and Qualcomm Centriq 2400 among others. The Qualcomm Centriq 2400 is targeting the same single socket, low cost per core market that Intel declines to play in. We recently saw Qualcomm and Hatch release a gaming solution running on what we speculated was Packet’s cloud. For its premium offerings with more RAM, Packet still utilizes Intel Xeon chips. The Intel Xeon Gold 5120 is their CPU of choice for their 384GB x86 instances. At the same time, Packet is showing that there are a number of applications that prefer higher compute density in a single socket solution that can be delivered without paying the dual socket “tax.” Based on what we can see coming into the data center, and Zac’s comments, it seems as though Packet’s EPYC deployment is translating into a popular offering so we are excited to see what is next from the company. What % of STH readers are packet customers? or maybe what % of packet customers are STH readers. It’s great that you’re covering them. I love their service. Intel sees everything as 2 socket or niche. Tier 1 cloud virtualizes everything so they cater to larger memory footprint servers. Maybe I’ll hop on a Packet node for a few days and try EPYC if there’s any left. Boot drive is just a single M.2 drive, that would worry me on production machine with intent to keep it long term.